By saltydecimator, May 8, 2018 in General Discussion - Any topic is welcome here!!! to me, barring the whole co being a-holes and not worht supporting, or the gun being disposable could be "THE SHOTGUN" we been waiting for.... its not perfect, but its a real contender for stuff we want (in PGO form) long one is expensive and cant get away with barrel chops.. 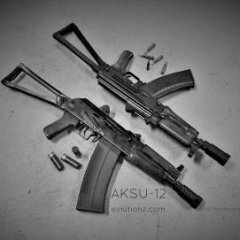 It looks a bit like a warmed over MKA1919. Is that basically what it is? At least it runs. Might be a good starting point for something fun. I think external dimensions may be the reason no one does this with the AR-like shotguns. 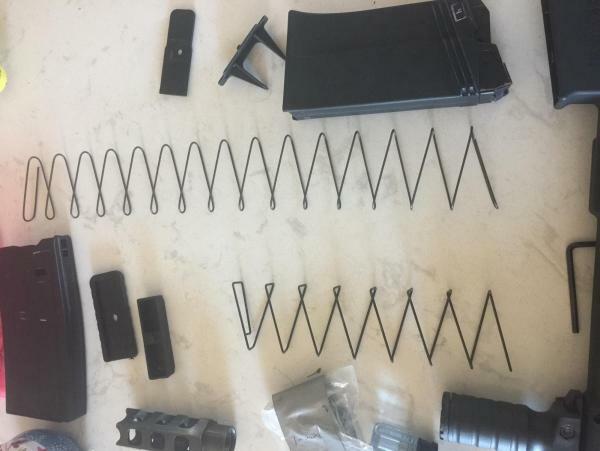 If you have like capacity Saiga 12 or Vepr 12 mags, compare the spring lengths if you can. I am curious as to what they are doing with the springs. Dress the follower with a file or wrap it in sandpaper and push it through the mag body for a pass or few. i slammed the saiga spring in the S.T.D. mag, ran 5 rounds of monarch 1350 1 oz flawlessly... no room in the mag to run magt into closed bolt though when it was full. i called S.T.D. earlier in the day to try and talk to engineer about max gas port size on a 12-13" gun. 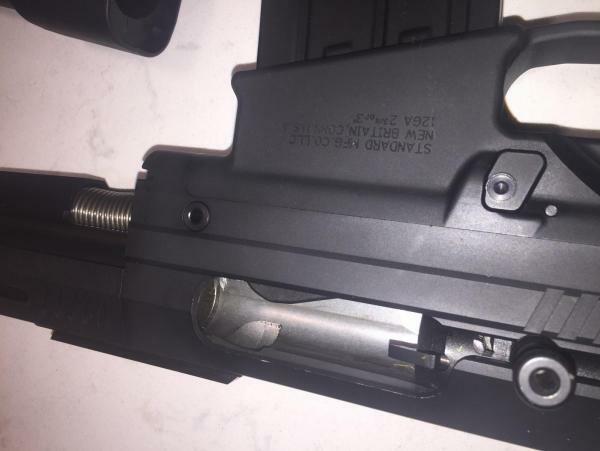 i made no mention of gettin NFA ppwk, but guy on phone is like, i dont know how legal that is, i dont think you can do that in CT, to which i responed, sorry you guys cant have any fun up there, haha... he was more helpful than the guy the other day. i just dont get the busy body fuddery of those folks up there, its my gun, ill do as i wish! they arent lawyers they building scatterguns!! Uncompressed springs should be about 1/3 to 1/2 longer than the length of the magazine body.. If the magazine is 10 inches long the spring should be between 13.5' AND 15'... springs can be shorter, but generally the ratio of 1/3-1/2 of body length works pretty decent... 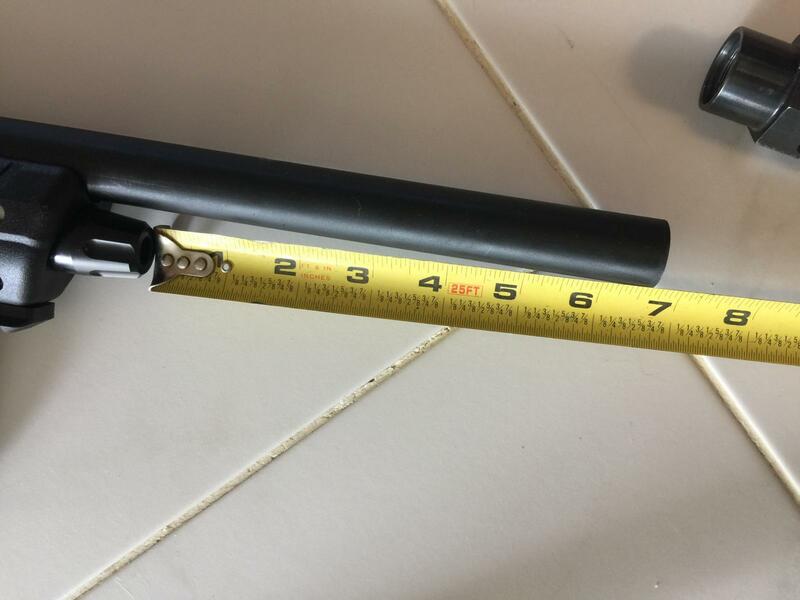 Some of the russian magazines go double the length of the magazine, that is past ideal and you are just hauling extra spring coils that cannot help you. Couple of items. First my Atlantic Firearms Trench 12 "Firearm" is getting smoother just from me practicing the various mag dropping and reloading drills. Some 3" snap cap type dummy training shells are on the way. The Csspecs 10 rd steel box mags fit perfectly. I have some good concerns using live ammo for the drills so for now the mags remain empty. Have not fired the Trench 12 yet. The paper sheet said "no low power ammo". There was no manual provided with the Trench 12. I would like to know how to detail strip the Firearm. Four, (4) position gas puck. I do not know how they do that. Anybody got ideas how this things comes apart? I have contacted Atlantic Firearms but no answers. Again. However it may be my E mail provider. 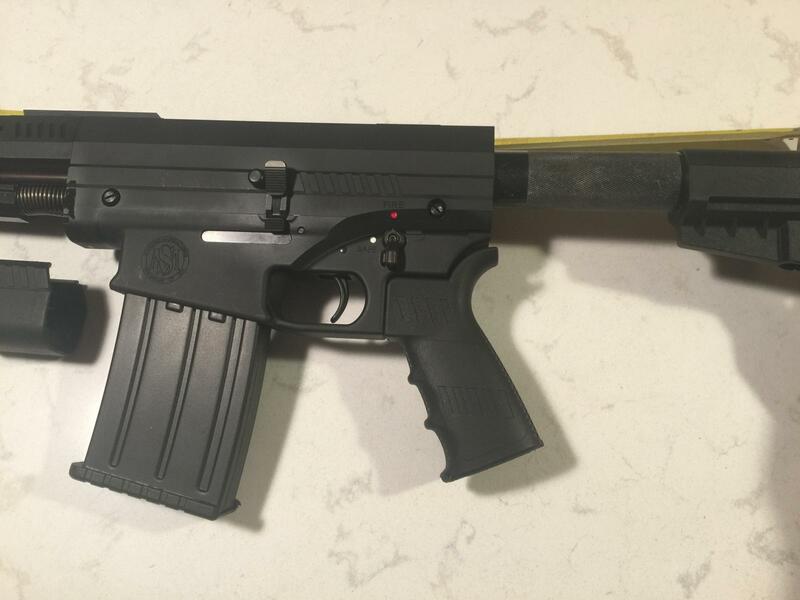 Looks a lot like a MKA1919. Maybe some strip info for that would work. Made in ct but according to std website they wont sell to ct..lol Things are weird in that area of the country. ct has "constitution state" on their license plates, what a sick joke. They should change it to "constitution infringement state". Im wondering what the gas system is like? If you get it apart take some pics. Anybody else here have a Trench 12? Is so, then how does one get the fore end plastic off? It looks like it slides forward. But then again there are no visual or tactile release points. The gas tube/cylinder I can probably figure out. How does the 4 position gas block come off? No instructions. No real tabs or flats hinting on a way. The basic field strip is no problem. The recoil spring is a captive 2 piece and does have a buffer. The top cover does have a dinkie iron. For those who have helped me thank you. The other gentleman had the option of saying nothing. I suppose there will always be detractors. I'm the kind of guy if I do not know, I fess up to it and say so. Plan. Correct tools. This cuts both ways. If anybody wants to learn how to properly torque up and perhaps index an AR15 barrel let me know. If anybody wants to learn how to examine, gage, measure and select a used old USGI M1 Carbine ... the same. The Trench 12 appears to have some propitiatory features. I would like to find and buy a Trench 12 top cover with a rail. The forearm brace is well designed. Once worked 50 times the plastic does flex more. Easy to cover my forearm. 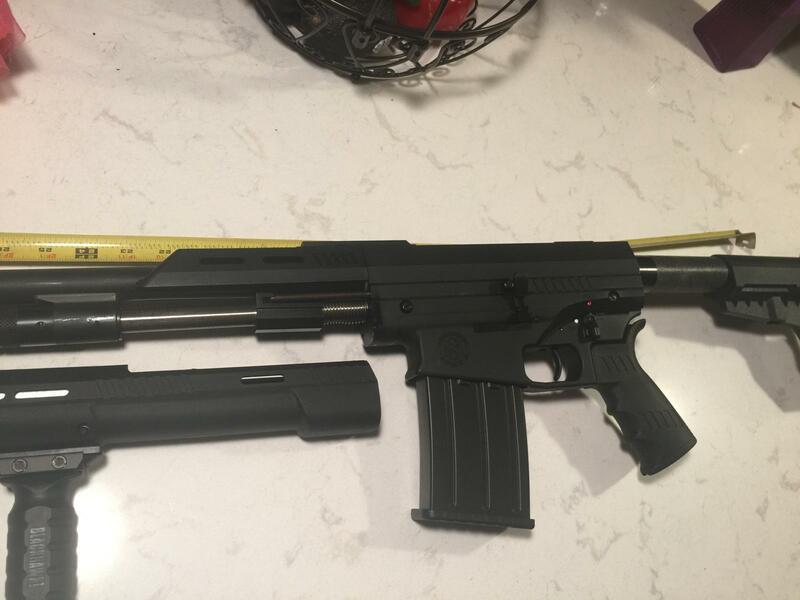 So the gas system would be similar to a remmington 1100, mossberg 930 or other "traditional" style semi auto. Or in other words closer to the mka 1919 then a S-12, in operation? I tried searching for pics or vids on the breakdown. hicok45 has a vid on the sko-12 shorty, he seperates the two reciever halves but doesnt show much of the gas system, bolt etc. Theres a hell of a price difference between the shorty and the stocked version smh. I wondering where the $500+ difference is justified? 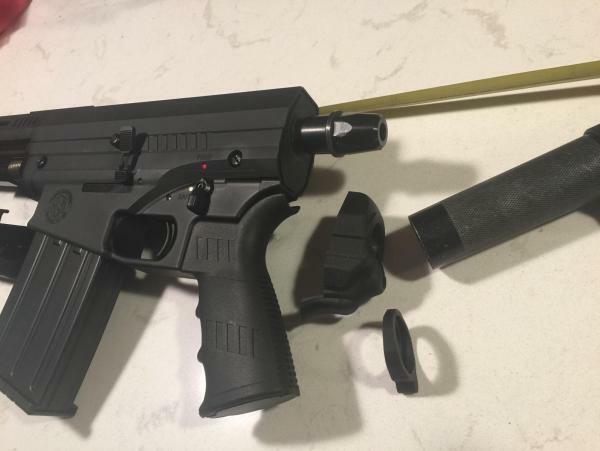 The bull pup version is very interesting! Looks like it would be light weight,well balanced and compact. That's about 3.5 dram. How much was it per 25? That's cheap enough to have a little fun with and not hurt the wallet too bad. Well done. they are a grey hull, were 29.99 ish per 100, in the bulk pack... didnt expect them to work, but they also ran 100%. anyone know some on-demand milling type folks? preferably an independently wealthy/retired type, who doesnt charge exorbitant rates? i getting super close to adding brace and chopping barrel, now that i see some better results with the more expensive hulls.... i could shoot it a lot for 'break in" but thats waste imho, rather brace, chop, then i would expect it to still work as the brace bracing should be adding some firmness to the rearward motion of the gun.... and therefore increasing reliablity, with cheap shells even. 1 thing at a time! Do the brace, check operation - then chop. Too hard to tune when there are too many variables. By "milling", if you are talking about barrel work (turning), you can't just send a serial numbered firearm to anyone for barrel work. 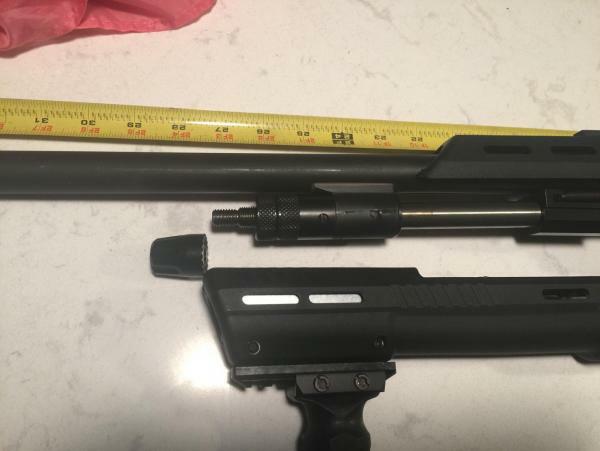 If they have possession of the serial numbered receiver and they are doing work to the weapon, at all, for profit or not, that activity requires an 07 FFL or they can end up with a 10 year federal prison sentence and up to $250k in fines. If you are there in direct control of the firearm (present the entire time, not leaving it overnight, etc) while they are doing work on it for free (not for profit) then they do not need a license to do it for no profit while you are there in direct control of the firearm. Be careful. The fundamentals of that activity are based on performing work or activity that would require a license, just like just anyone can't build you a pool. It has to be a licensed pool contractor, in non-primitive states, at least. In most cases of hiring a licensed professional, you are not paying much for the actual work, you are paying for the regulations they have to comply with and the expenses incurred.